Martyn Hilbert's Railway Photography - Last additions - Kearsley Power Station. In the fading light of a Spring evening on May 13th 1982, stored CEGB locomotives were gathered at Kearsley Power Station near Bolton. The power station was mothballed and the 500v system that connected the power station to the Manchester-Bolton line was redundant. Electric loco No.2 that had been one of the exhibits at Rainhill in 1980 was stood with ex BR Class 05s that had come from the power station at nearby Chadderton. 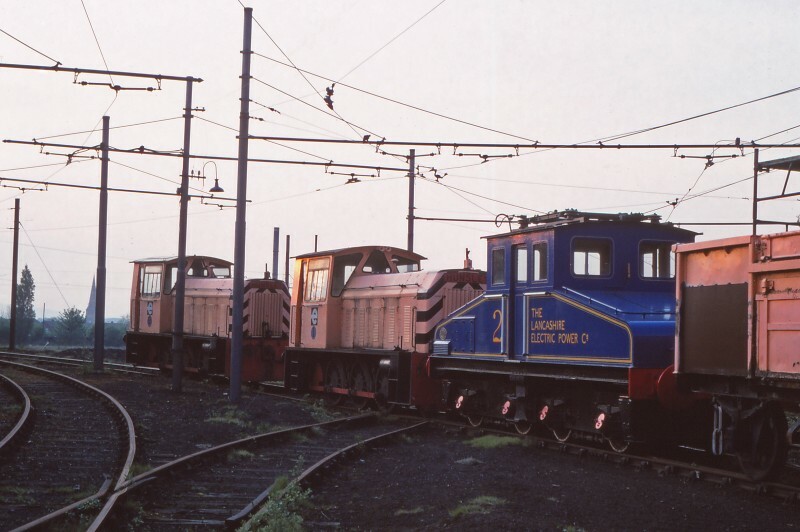 The locos were formerly numbered D2587 & D2595.